Often times the vision and commitment of the mayor can chart the course for development of cities and towns. Who has done the most to promote the city and help the city to prosper in good times and bad? What do we as the residents of Michgan City look for in the current or next mayor? What projects were championed and brought to fruiton by the mayor and/or their successor? I guess that I could start with a listing of the mayors that I remember. Please feel free to add anyone that I may have missed. These are probably the only individuals the can be adequately discussed since these cover the gamut of years that most people can recall and discuss. You missed Cliff Arnold from the list. 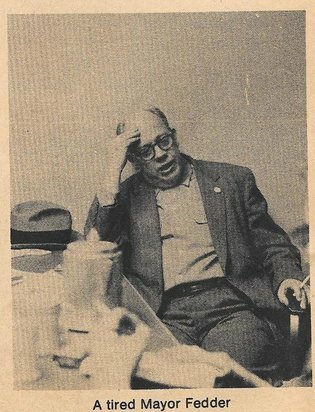 This is an article from The News-Dispatch special 1976 bicentennial "People from our Past" edition about Michigan City's longest serving mayor Martin T. Kueger who served 6 non-consecutive terms and was also city clerk, state representive and school board member. 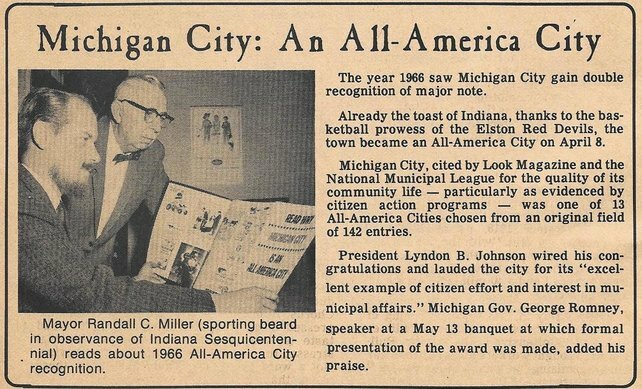 He was the mayor that revitalized the lakefront and established Washington Park, the Franklin St. bridge, the Michigan City Water Works and brought electricity and paved roads to Michigan City. 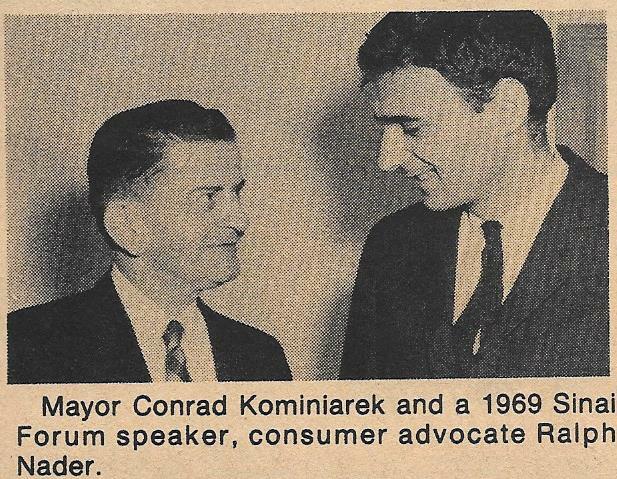 Just about everything that we take for granted as citizens of a municipality we owe to the vision of mayor Krueger. 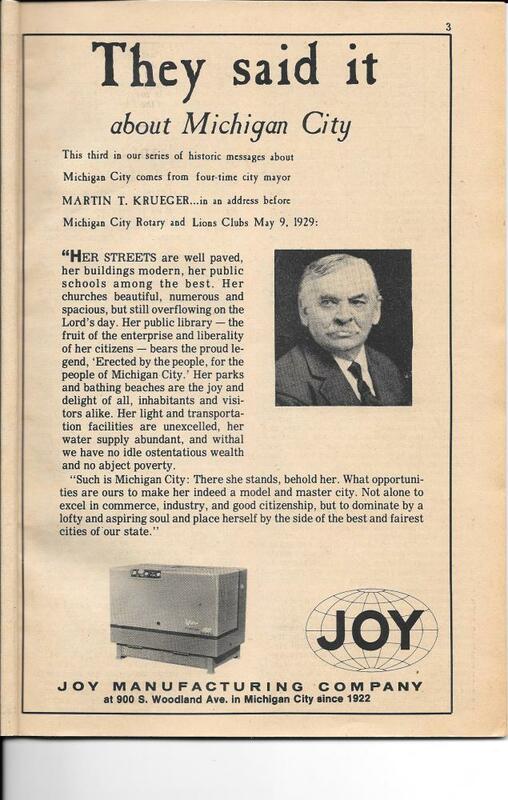 Martin T. Krueger loved Michigan City. He showed it in words and in deeds. More than any public official in the first 140 years of the city's history, he left an indelible imprint on the community. A German immigrant who came here as a young boy in 1864, Krueger served his city with distinction in many capacities. Six times he was elected mayor. Three times he was elected city clerk. He served as LaPorte County's state representative, as a Michigan City school board member for 12 years, and as a city councilman. Virtually self-educated , he had one of the city's largest and most successful law practices up to the time of his retirement at age 88 in 1941. Krueger, above all, was a man of foresight with the ability to get what he wanted and what he felt the city needed. Politics was a major part of his life, but he did not hesitate to pursue an unpopular course if he felt it was right. That trait cost him at least one election - but fellow citizens gained a belated appreciation for his position and restored him to office four years later. The News-Dispatch story of his death, at age 92 on May 9, 1945, noted: "Michigan City owes much of its beauty and reputation to him ... It is hard to point to a single public work or institution that he did not create or was not a factor in its creation." Existence of Washington Park is due to Krueger's vision, craftiness and persistence. During the Krueger years, electricity replaced gas and kerosene lighting in Michigan City. The first extensive street-paving program was initiated (against much opposition from taxpayers). The Franklin Street bridge, the establishment of an excellent water department - these and more milestones in community progress were Krueger accomplishments. 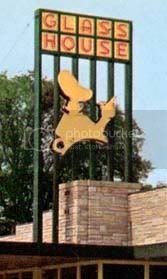 The land on which the Memorial Park forest preserve is situated was given to the city by Krueger in memory of American soldiers who died in World War I. Krueger also had a reputation for wit and public speaking ability. His parents brought 10-year-old Martin Krueger and their other eight children to America from Macklenberg-Schwerein, Germany, in 1864. They settled in Michigan City, where Martin's grandparents had emigrated eight years earlier. His first regular job - one which ended his formal school career - came when David Marsh (who, with his brother, George, owned all the land south of 11th Street to Greenwood Cemetery and who pastured cows on it) offered Krueger's mother a dollar a week for Martin to be a cowherd. He worked at other jobs - as a factory employee at the Haskell and Barker car shops, in a planing mill, and as a cleaner of locomotive grates for the Michigan Central Railroad in Michigan City before he got some experience in the world of agriculture. Krueger began the study of law in 1877 in the office of Michigan City attorney Fred Johnson. When Johnson died the next year, Krueger opened a real estate and insurance office. He also was actively engaged in assistance to immigrants - helping to bring many families from Germany to Michigan City. He continued his study of the law and, in spring of 1879, he and Harry Francis opened a law office at 205 1/2 Franklin St. Francis left in the autumn to become publisher of the Michigan City Dispatch. Krueger's office later - and up to the time of his retirement - was in the First National Bank building. His clients included his two former employers - the Michigan Central Railroad and the Haskell & Barker Car Co. - as well as the Pere Marquette Railroad, the First National Bank, and others. The year he began his law practice, Krueger also entered politics. He was elected city clerk. He was re-elected to that post in 1881 and 1883. In 1884, he was elected to the state legislature. He was chairman of the committee on cities and towns and a member of other important committees. During that and later service in the General Assembly, he was responsible for enactment of much major legislation. He also won the respect and friendship of many fellow legislators which was to prove extremely valuable for Michigan City in years to come. In 1886, he was on the state Democratic ticket as candidate for clerk of the Indiana Supreme Court, but it was a Republican year in the state. When he returned to Michigan City, he declined a request that he run again for city clerk. But he agreed to be a candidate for 2nd Ward councilman. Though that was a traditional Republican stronghold, Krueger was elected - as the nominee of both parties. In 1889, he was elected mayor of Michigan City. In 1891, he won re-election with no opposition. An unprecedented program of public improvements was initiated under his leadership. Streets were paved, sewers built, and other projects implemented. His activist leadership was not without opposition in the community. That, plus a division in the Democratic ranks here, saw him lose his bid for a third term by a narrow margin in 1893. But in 1898, Krueger was once more elected mayor this time to a four-year term. And in 1902, he won another one. 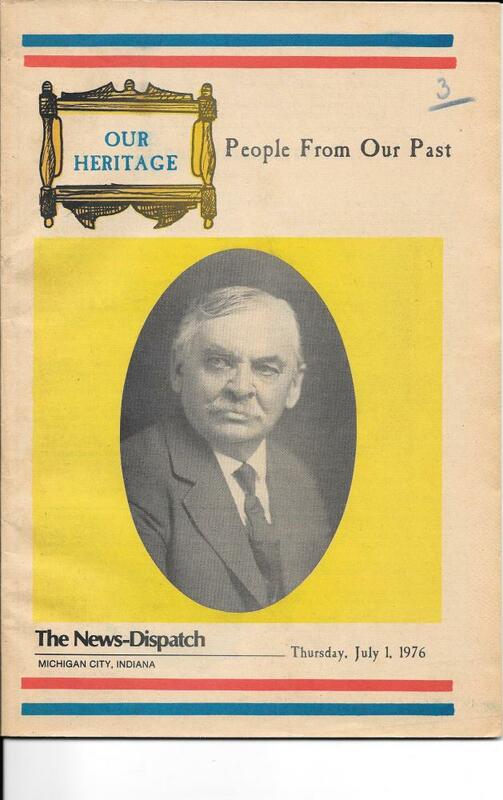 In 1913, running on a "citizen's ticket," he was elected to a fifth term as mayor. And in 1927, he became mayor under the commission-manager form of government that was temporarily in effect in Michigan City. Krueger also had been a candidate (in 1896) for Congress. He was the 10th District chairman at the Democratic Congressional Convention, and when no candidate could be agreed on after several ballots, he agreed to run. The district was overwhelmingly Republican and Krueger lost in November - but he managed to reduce the normal plurality considerably, and to carry two counties (including LaPorte) which had previously gone to the GOP. Krueger, whose own public school education had been abbreviated, served for 12 years on the local school board as member and secretary. The News-Dispatch obituary in 1945 observed that he had "worked tirelessly for better school facilities." Many older citizens remember Krueger, his moustache, his distinctive and booming voice, his habit of tracing a circle with his downward pointed finger while talking. One contemporary recalls that Krueger "never was given to social life. He liked his association with friends either gathered at his home or at his favorite bar near city hall downtown. At both places, he would spin yarns to the delight of all his listeners. He was the town's best story teller - generally telling them on himself or ones which illustrated a particular point he was trying to make at the time. He was not a heavy drinker, but liked beer. He had a sarcastic tongue - perhaps caustic is a better word - that he used mercilessly to flail those whom he felt earned his displeasure. His gruffness, with a guttural German tone, combined with the fact that on his own admission he was the homeliest man in the state, made him a most impressive figure. Some of his pointed stories were widely repeated, though not printable. Above all, those who remember the way he got things done - the acquisition of Washington Park land the most frequently-cited illustration. The lakefront acreage was the scene of a squalid skid row when Mayor Krueger first envisioned a park there. "I do not remember now when the thought of a park on the shore of Lake Michigan first came," Krueger said in a speech to Rotary Club in 1922. "I do remember about the year 1893 upon a visit to Lincoln Park in Chicago ... the hope was born in me that someday Michigan City might possess and improve a portion of our lake shore as a park. I was only city clerk at that time and mentioned this thought to Mayor Harvey Harris, who answered me that such a thing might be a possibility at some future time, but that both of us would probably be dead when that time arrived. I was elected mayor in 1889 and my dream of a park by the lake again haunted me. The more I thought of it the more the conviction grew in me that the thing might be done." After a long and uphill battle, Krueger obtained approval for the erection of a $10,000 bridge that extended Franklin Street to the lakefront. Community skepticism about the proposed bridge was reflected in a remark made to Krueger by his friend, former mayor H.W. Walker: "You are building a bridge from somewhere to nowhere. The site of future Washington Park was owned by Easterners who had bought the lots sight unseen when Maj. Isaac C. Elston pushed his real estate promotion of "Indiana's only lakeport." The land purchasers, belatedly learning of the nature of their holdings, never came west to claim the land or settle on it. The only way the city could obtain title to the land, Krueger knew, was through court action. Quiet title proceedings could be filed - but it would be necessary to put up several thousand dollars in escrow in case any owners should show up. The city had no such money. Krueger had the answer: Sell part of the courthouse square! At the time the courthouse was at the location of the present Superior Court building, but was the only building on the square block bounded by Franklin, Fourth, Washington and Michigan streets. It was illegal, Krueger knew, for a city to sell municipally owned real estate. Again he had the answer: A trip to Indianapolis, where the legislature was in session. There he got a former colleague to introduce a bill providing that a fifth class city located on the shore of Lake Michigan (i.e., Michigan City) could sell part of its municipally owned real estate if it in turn acquired real estate of equal dollar value. Conceding that the special (and short-lived) legislation bordered closely on confiscation was Aa little too rank even for an Indiana Legislature, Krueger nonetheless made no apologies for the action. He explained: "Necessity knows no law, neither did I. "Immediately there was great confusion among the spectators. I did not announce the result of the vote officially, but instead declared a recess of 20 minutes or until order was restored. Then I asked the one councilman who had voted no to come with me into the clerk's office adjoining the council chamber and he came. I was excited, nervous and sore and what I said to this man in that little room had best be forgotten. He and I had been good friends and I had at one time been of great service to him and saved him a large sum of money, all without charging him a cent. I reminded him of that. Then I showed him that his three objecting friends (three anti-park councilmen who had not come to the meeting) had not the courage to come and vote with him but had tried to make and were making him the goat by voting no alone and shifting all the responsibility on him and finally I said, 'As long as you live people will blame you and, you alone for having been the instrument by which the city had been robbed of its lakefront park. "I told him I would have the roll called again because of the confusion in the council chamber and I wanted him to vote aye when his name was called. "I called the council to order again, ordered the roll called again and seven men voted aye. The resolution had passed. "I have been in many a hard fought political battle; I have won some and lost others, but in all my life I never felt so bitterly disappointed as when that vote stood 6 to 1, and never have I so glorified over a victory as when it finally stood 7 to 0. "One great shout of victory went up from the assembled audience. The fight was over; the park was an accomplished fact." Krueger named the first park board, had the lakefront area graded, and solicited help of common citizens and influential industrialists in the establishment of the park. While citizens were planting saplings, industrialists were paying for erection of a monument, peristyle and bandstand. That is bright and wide awake! Krueger's resourcefulness came to the fore again when money was not available for the establishment of an adequate water department here. In 1899, he organized a stock company of wealthy citizens who built the water plant and turned it over to the city on terms it could easily meet. The immigrant mayor was passionately patriotic and dedicated to his adopted land. On Feb. 3, 1917 - the day on which President Woodrow Wilson severed diplomatic relations with Germany - Krueger was a speaker at the annual Elks banquet in Chicago. "...In this great republic where men are judged largely by what they know and what they can do, he (the immigrant) is welcome only if he will sincerely seek to make the most and the best of established conditions which he finds here, and will prepare himself honestly and diligently for the great responsibility of American citizenship. "He is welcome to every blessing that flows from the fountain of free and popular government, but he must not muddy the water for others after he has drunk his fill. That is the price. If he cannot pay it, let him go back and tell those he left behind that although this country may be a melting pot, it is by no means a garbage can." "Such are some of my impressions of old Michigan City, as I knew it more than half a century ago. What it is today you know as well as I do. With great wisdom and foresight she was the first Indiana city to beckon to herself the great commerce of the inland seas and provide for it harbor of trade and refuge. She was the first Indiana city to seek and obtain legislative authority to acquire and improve land for public park purposes and to use that authority to possess for her people nearly a mile of lakefront and the most picturesque and lofty mountain of sand on the lakeshore; a worthy monument to her foresight and a priceless heritage for the present and future generations. Such is Michigan City: There she stands, behold her. What opportunities are ours to make her indeed a model and master city. Not alone to excel in commerce, industry and good citizenship, but to dominate by a lofty and aspiring soul and place herself by the side of the best and fairest cities of our state." That was Martin T. Krueger - a self-made man who said what he thought in plain terms. I had no idea he wrote that song - my dad used to love to sing it. Can anyone point me to a link of all MC mayors?